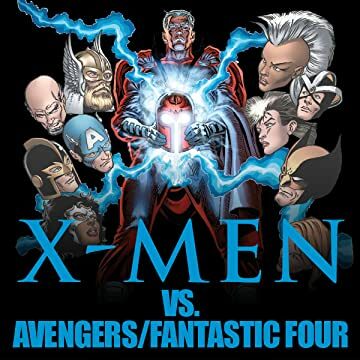 Collects X-Men Vs. The Avengers #1-4, Fantastic Four Vs. The X-Men #1-4, X-Men (1963) #9 And Fantastic Four (1961) #28. Two titanic tussles for the price of one! First: When Magneto's on trial, he needs all the help he can get - and he finds it in the remnants of his former fortress, Asteroid M! The X-Men aren't sure what his scheme is, but they're positive they don't want the Avengers and the Soviet Super-Soldiers to find out before they do! It's multi-team warfare with the eyes of the world on all three! Then: On the verge of disintegration, Kitty Pryde seems resigned to her doom - but the X-Men will do anything to save her, even bargain with a worse doom...Doctor Doom! What stunning secret prevents Mr. Fantastic and the Fantastic Four from saving the day instead? Is he terrified of failing because his greatest failure - the fateful rocket flight - might have really been his greatest success? Do the answers all come down to wunderkind Franklin Richards? 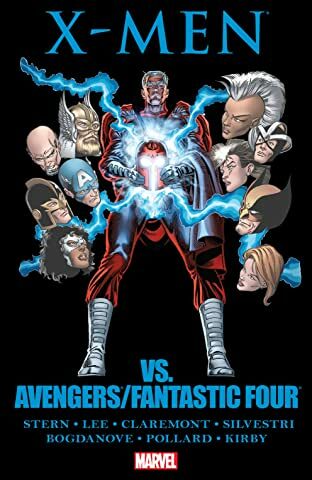 Also featuring the X-Men's fabulous first face-offs with the Avengers and Fantastic Four in Marvel's early era!